No that’s not a typo, artist Jason Shulman is er, presenting himself tonight at Soho’s Door Gallery. When our some-time contributor and every-time brilliant Harriet Verney told us about the one-man, one-piece art show she was curating, we were a little intrigued. 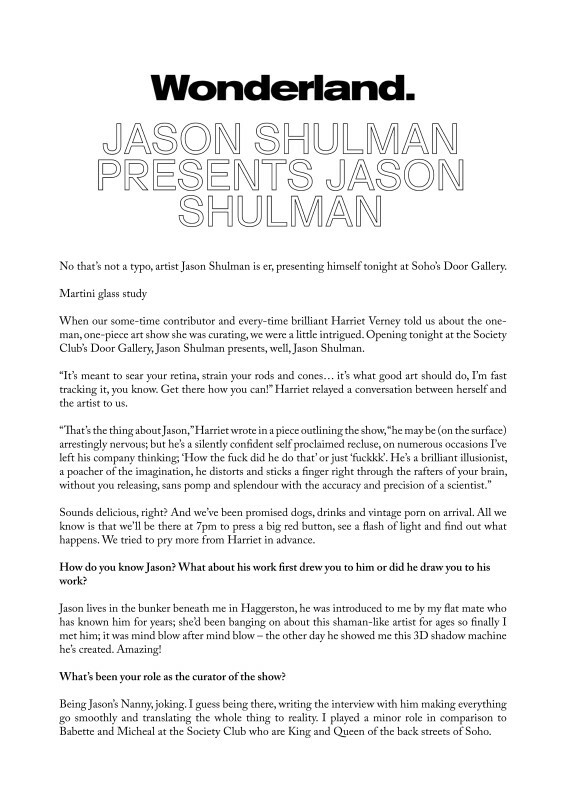 Opening tonight at the Society Club’s Door Gallery, Jason Shulman presents, well, Jason Shulman.